Pick up in the meeting point and travel to Zafra where we be housed in Apartamentos Rurales El Campito. Early in the morning we will travel to Santa Amalia, in the heart of the Vegas Altas del Guadiana, to enjoy walking through the IBA 286 Valdehornillos-Santa Amalia where we would see thousends of cranes, as well as a lot of wintering birds (marsh harriers, wading birds, passerines). Later we would arrive to the ZEPA Arrozales de Palazuelo y Guadalperales and head to Campolugar (ZEPA Llanos de Zorita y Embalse de Sierra Brava) to see steppe birds as bustards, walking through the Alcollarín dam, one of the best places in Extremadura for the anátidas and other wetland birds. We would end in Moheda Alta (ZEPA de Vegas del ruecas, Cubilar and Moheda Alta). We will return to rest to Zafra. We would meet and go to the wetlands of La Albuera passing by the IBA Villalba de los Barros. We would end having a picnic at midday. Llanos, the wetlands of La Albuera and the Vegas Altas del Guadiana. Mínimum 6 people (4 if you use the camper). Adolfo García Boraita and/or Fernando Yuste Ruiz. This experience includes 2 nights in a rural accommodation in Zafra, 2 breakfasts, 2 lunches, 2 dinners, transfers, optical material and driver-guide. 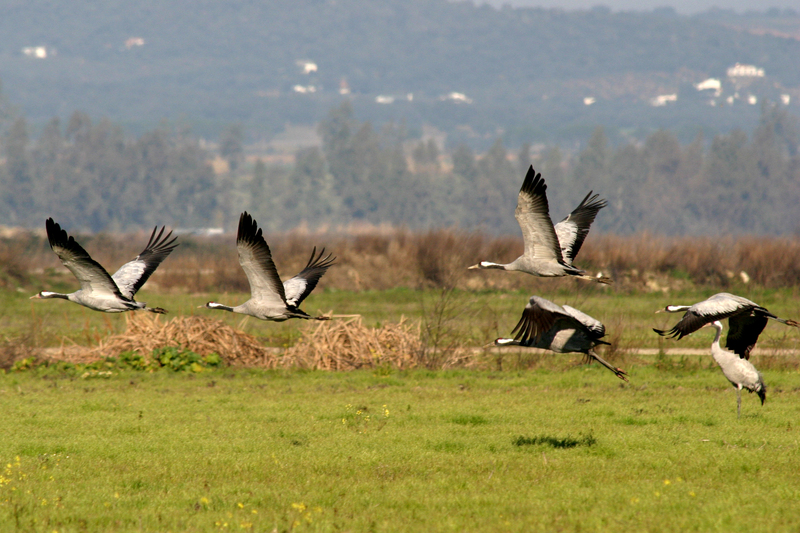 The pleasure to enjoy with more than 100.000 cranes who spend the winter in Extremadura and also all the wintering wading and passing by birds (black tailed godwits, ruffs, …) as well as as wintering anatidae, mainly the ones in the central area of Las Vegas del Guadiana. It is also optional to visit: Historical settings in Mérida, Medellín, or Alange. First day: We depart from Mérida direction to Cáceres. We will visit ZEPAs of Sierra San Pedro, Llanos de Cáceres and Sierra de Fuentes. Accommodation in Trujillo. Second day: We depart fromTrujillo to visit the ZEPAs of Llanos de Magasca and Llanos de Trujillo. Accommodation in Trujillo. Third day: We depart fromTrujillo. 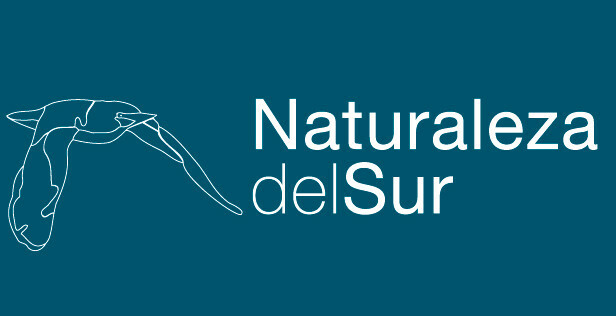 We will visit the Monfragüe National Park and the Arrocampo dam. Accommodation in Trujillo. Fourth day: We depart fromTrujillo. We will visit the ZEPAs of Llanos de Zorita, Sierra Brava dam and Arrozales de Palazuelo. Accommodation in Zafra. Fifth day: We depart from Zafra. We will visit the Sierra de Badajoz (Alange and Hornachos).Accommodation in Zafra. Sixth day: We depart from Zafra to visit the ZEPA of Campiña Sur- Embalse de Arroyo Conejo and Sierra de Tentudia. Accommodation in Zafra. Seventh day: We depart from Zafra to visit RAMSAR wetlands of La Albuera and Embalse de Los Canchales-Merida. Monfragüe, Arrocampo dam, Llanos de Cáceres, Trujillo ad Magasca, Sierra Brava dam, Alange, Hornachos, Campiña Sur, La Albuera, Badajoz, Los Canchales or Mérida. 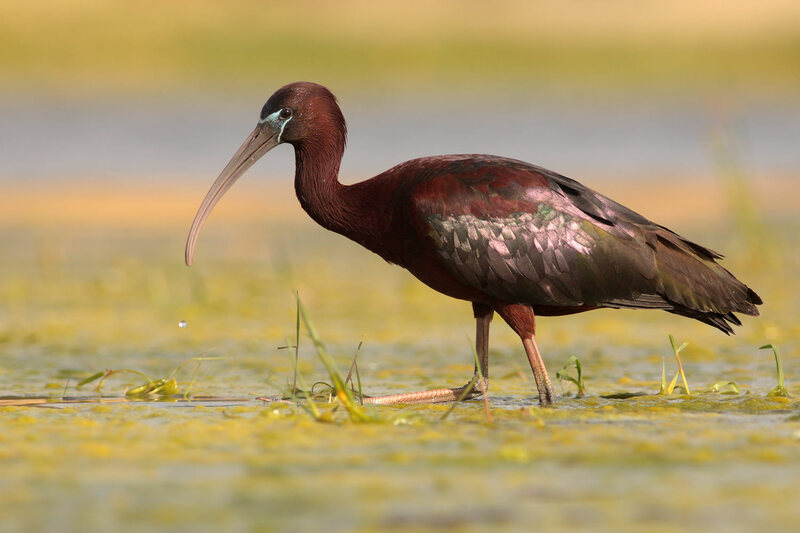 The pleasure to enjoy the birdlife in Extremadura. Also you have side attractions during your journey, historical settings as Mérida, Medellín, Trujillo, Cáceres, Llerena or Jerez de los Caballeros. 6 in rural accommodation, 6 breakfast, 7 lunches, 6 dinners, transfers, optical material and driver-guide. First day (Friday): Pick up and transfer to Alcarcel do Sal where we will be lodged. Second Day (Saturday): We will visit Lagoa de Santo André and the south side of the estuary. Third Day (Sunday): Aldea da Mourisca, Zambujal, Marateca (north area). From here we will return to the beginning point where we will finish the tour. First Day (Friday): Pick up and transfer to Tavira where we will be lodged. Second Day (Saturday): We will visit Salgados Lagoon, Loulé coastal Lagoon y Quinta do lago, and then we would return to Tavira (Ría Formosa) to rest. Third Day (Sunday): We will begin the day in Tavira and head to Sapal de Castro Marin.From here we will return to the beginning point where we will finish the tour. Sado river mouth: Zambujal, Pinheiro, Comporta and Lagoa de Santo Andre. Algarve: Castro Marim, Ria Formosa, and Alvor. Zafra to Algarve option and Zafra and/or Badajoz for Sado river. 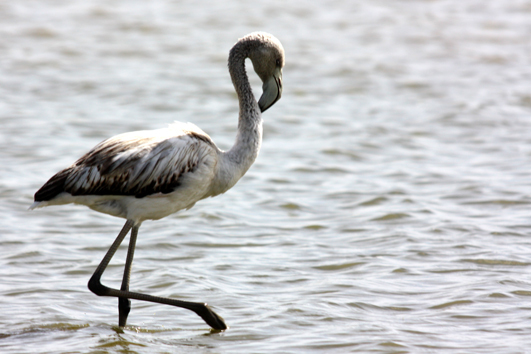 Enjoy thousends of birds that migrate thourgh the atlantic coast. Optional visitable attractions are: Beaches, dolphins, historical settings and gastronomic spots. Flamingo, Black-winged Stilt, Black-tailed Godwit, Pied Avocet, Esurasian Spoonbill, Sanerling, Osprey, Redshanks, Purple Gallinule, Ruddy turnstone, Eurasian Oystercatcher, Kentish Plover, Gull-billed Tern, Black-necked Grebe, Mediterranean Gull, Kentish Plover, Little Tern, Common Shelduck, Audouin’s Gull, Slender-billed Gull and much more. Welcome in the accommodation, observation workshop and visit to observe birds and historical heritage in Zafra. Matanegra D.O. Guadiana Wine tasting. Early in the morning we will go to Alange where we will enjoy the Sierra Central de Badajoz and Alange dam. Also we will visit a wine cellar. We will rest in a rural accommodation in the area. We will travel to Hornachos to enjoy the spectacular Sierra Grande and its wines. We will visit another Ribera del Guadiana DO cellar. Sub zones Matanegra and Tierra de Barros, included in the DO Ribera del Guadiana. Mérida, Alange, Hornachos, Almendralejo, Medina de las Torres, Puebla de Sancho Pérez and Zafra. 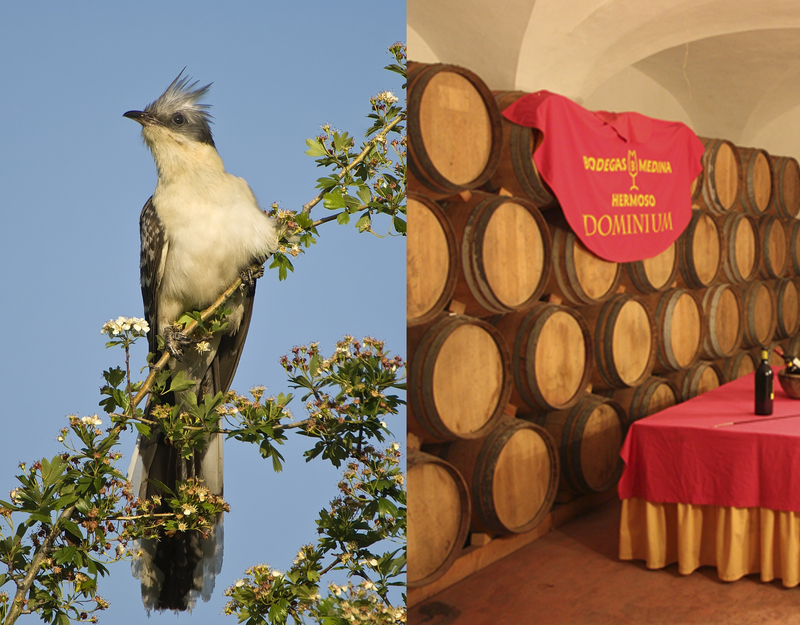 The great diversity of birdlife present in Extremadura, in spring as well as in autumn and winter, and everything accompanied with the exceptional, but not known wine of the DO Ribera del Guadiana and the ones not included in the DO but with matching quality. 2 nights in rural accommodation, 2 breakfasts, 2 picnics, 2 lunches, transfers, optical material, driver-guide and wine tasting in the cellars. Urban birds and also Cranes, Lapwing, Black-winged Stilt, Black-tailed Godwit, Green Sandpiper, Dunlin, Ruff, Gadwall, Eurasian Wigeon, Northern Shoveler, Greylag Goose, Grey Heron, Little Egret, Cattle Egret, Mash harrier, Montagu’s Harrier,Great Bustard, Little Bustard, Stone-Curlew, Calandra Lark, Common Sheldock, White stork, Black-headed Gull, Lesser black-headed Gull, Common, Gull-billed Tern, Alpine Swift.